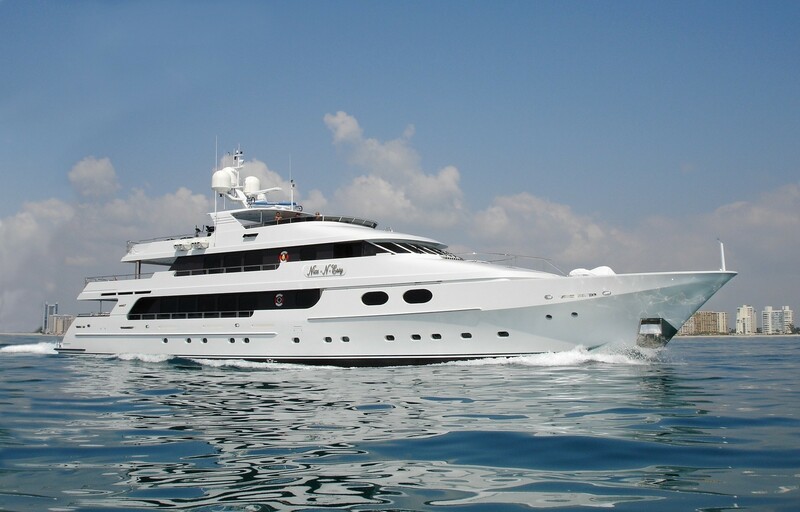 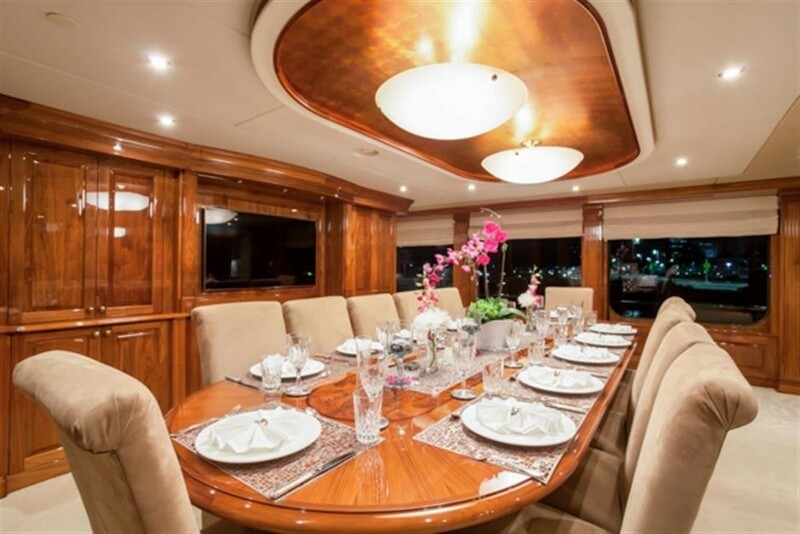 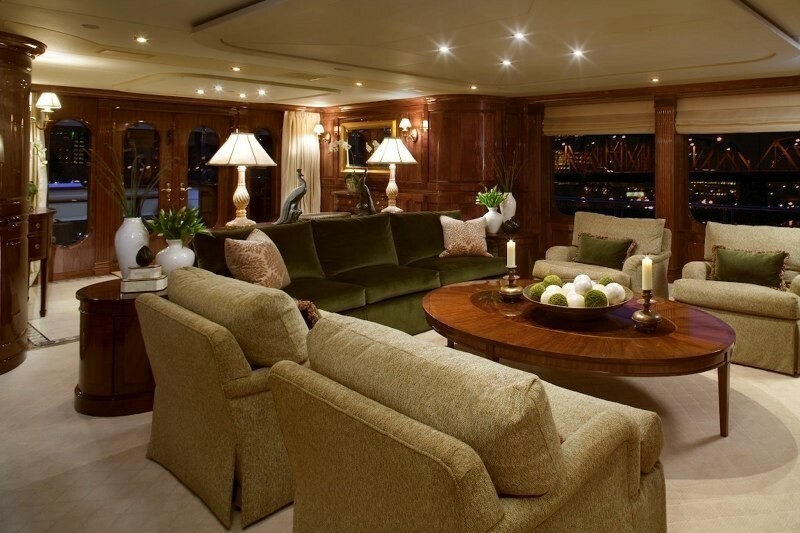 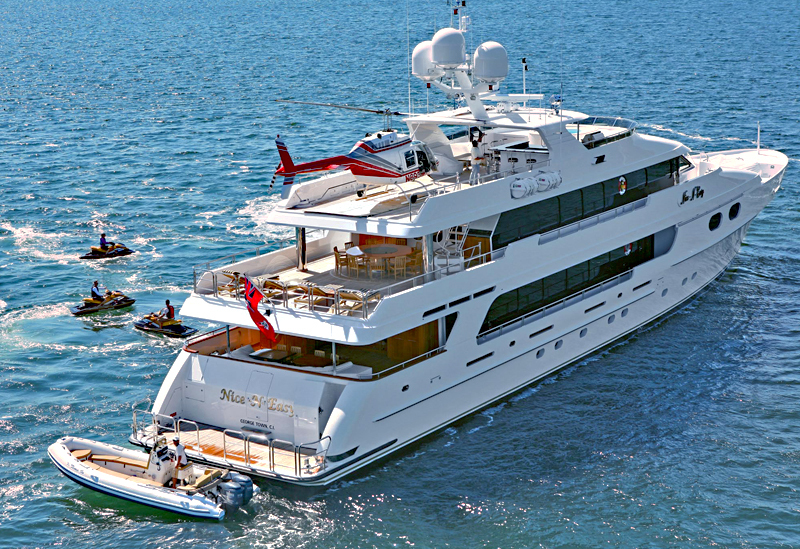 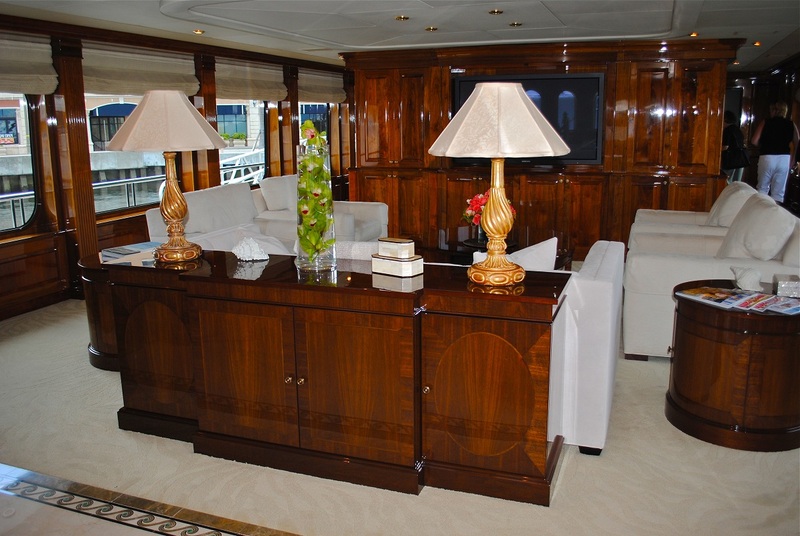 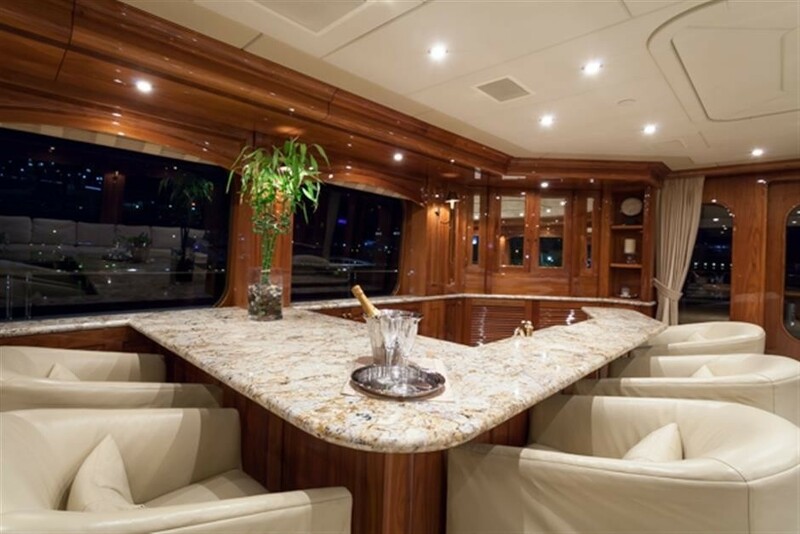 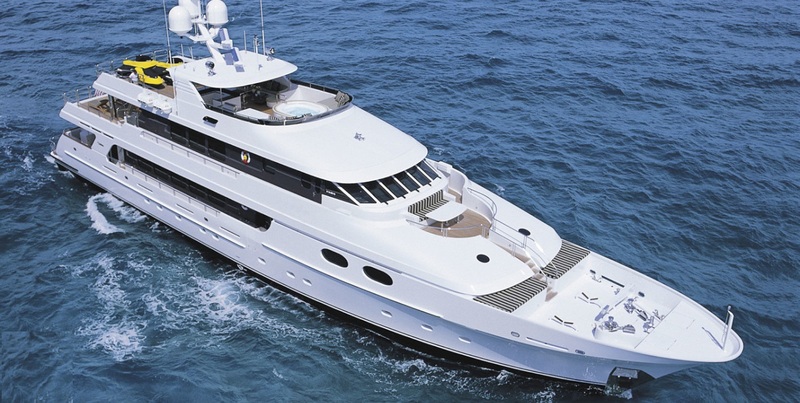 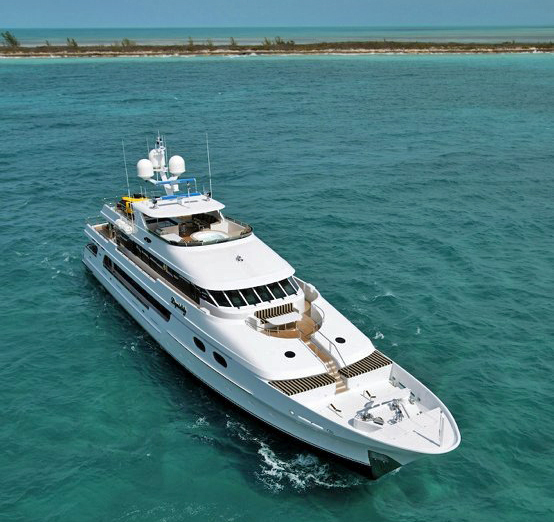 Luxury motor yacht TOP FIVE (ex Nice N' Easy, Liquidity) was designed and built by Christensen in 2005 and can accommodate 12 guests in 6 generous cabins. 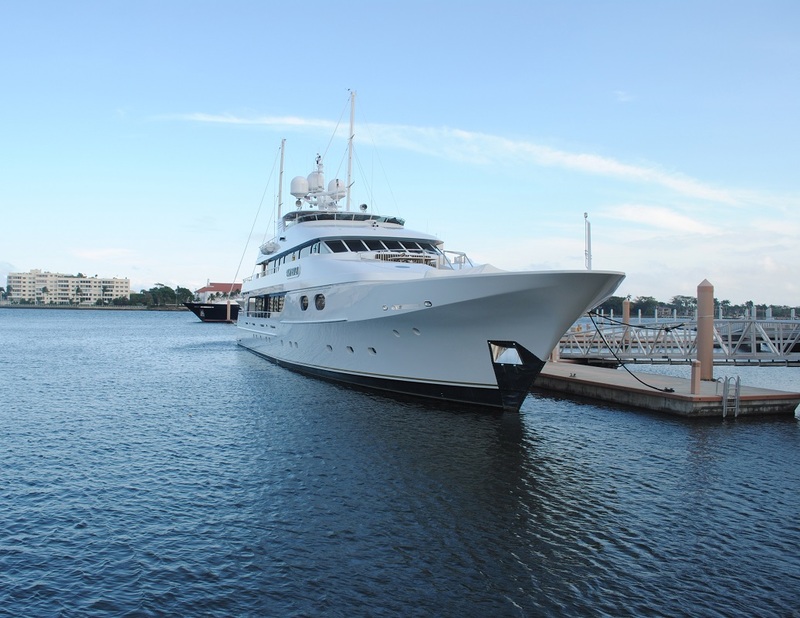 The yacht measures 47.85 meters (157ft) in length and is available for charter in the Bahamas and Florida in the winter months and New England in the summer. 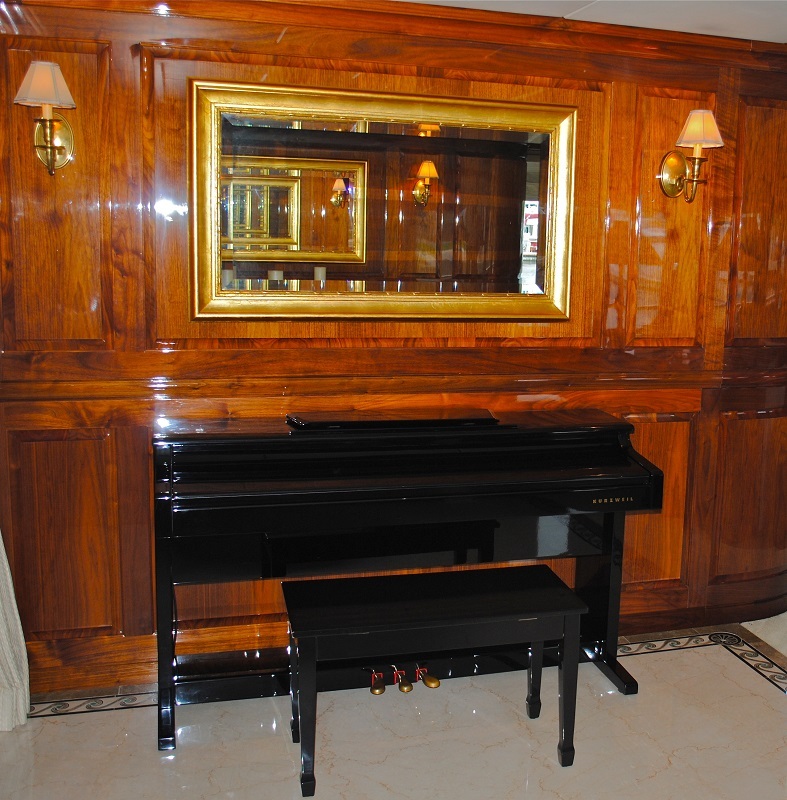 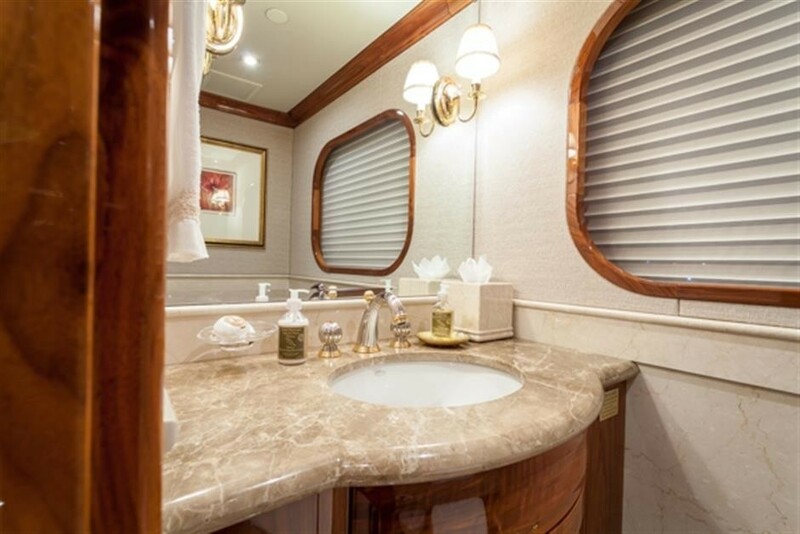 TOP FIVE oozes elegance and style, the interior is modern in amenities with an old-world feel of rich high gloss woods, quality marble, plush soft furnishings and fabulous design features. 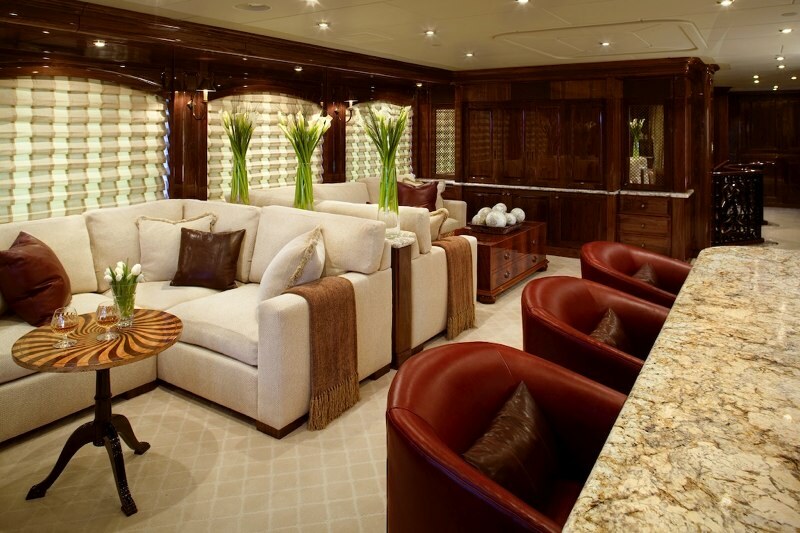 On the main deck, the salon and dining are an open plan with a central dividing island, the space is warm and inviting, set in a relaxing atmosphere with soft lighting. 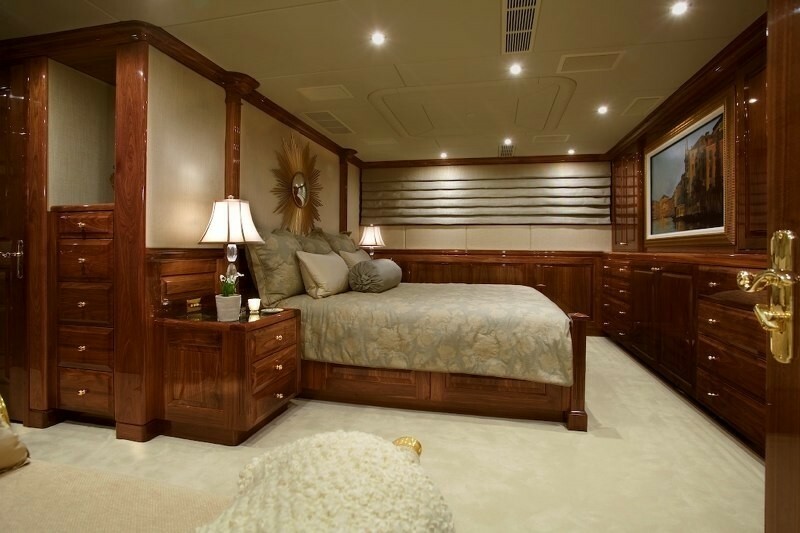 Large panoramic windows offer superior natural light during the day and privacy blinds by night. 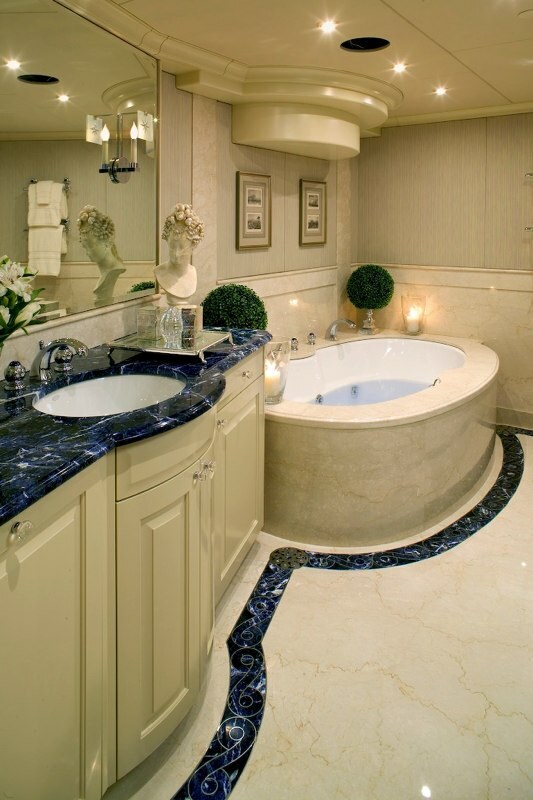 A powder room is forward. 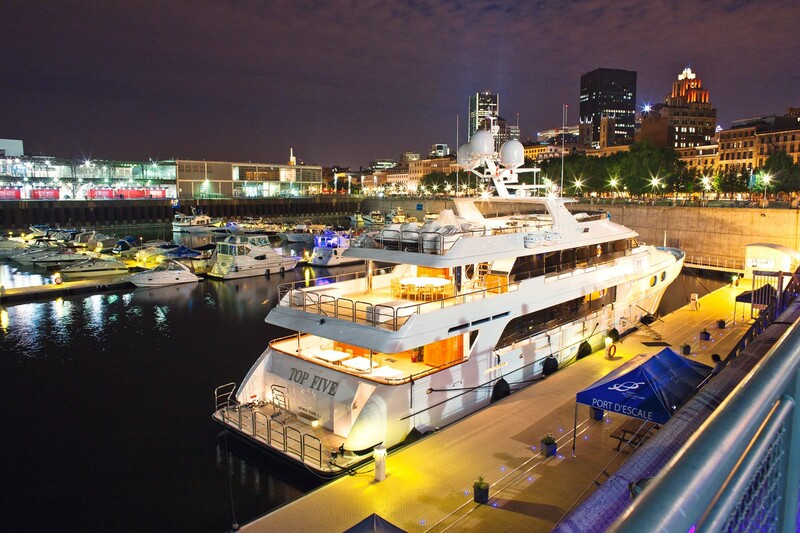 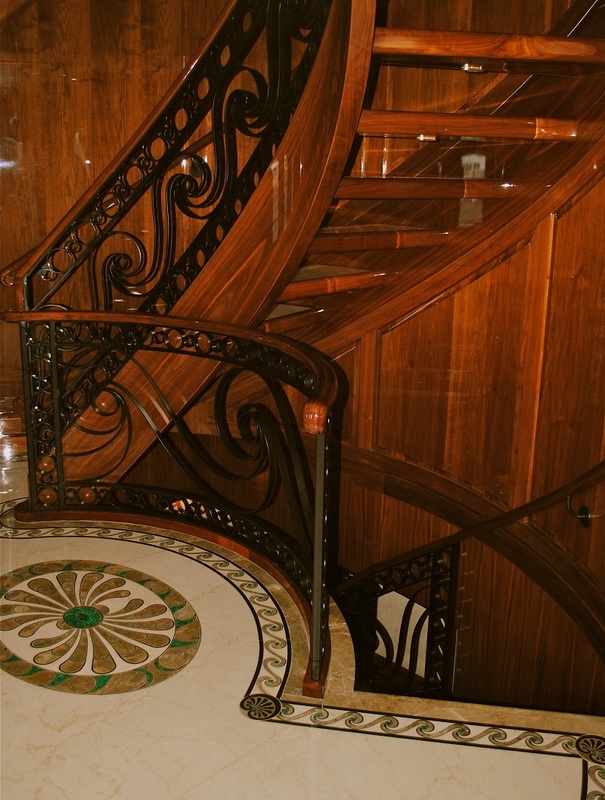 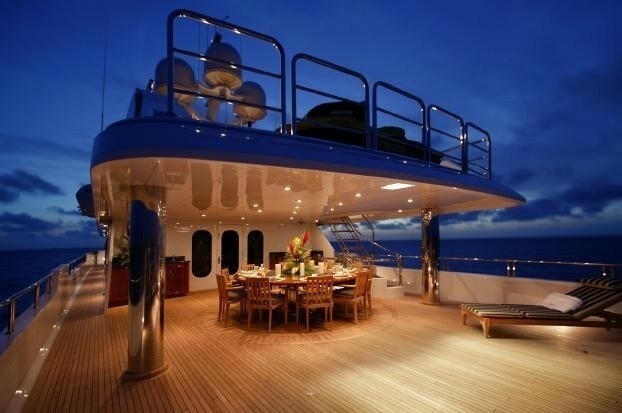 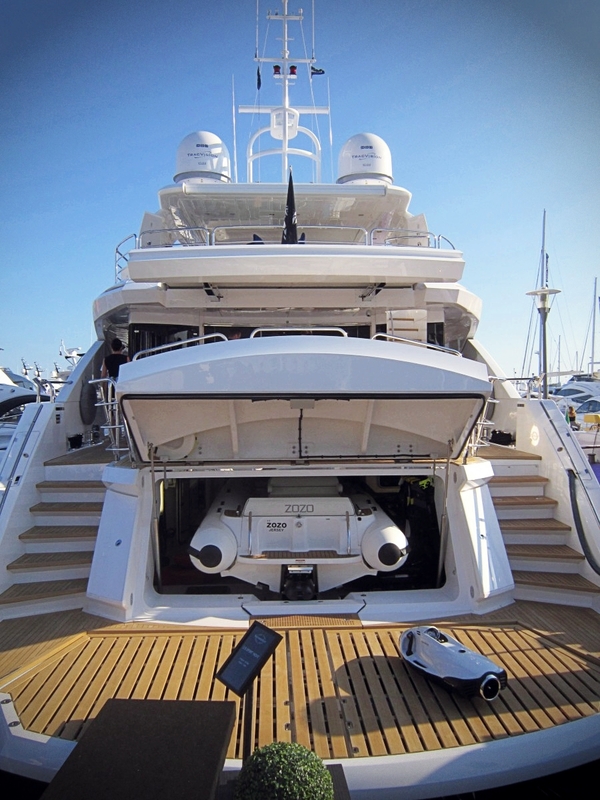 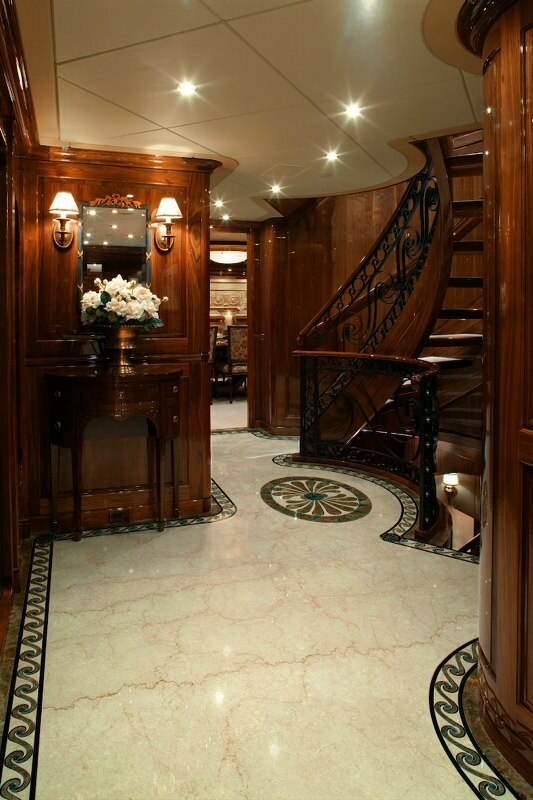 All decks are easily accessible by an elevator. 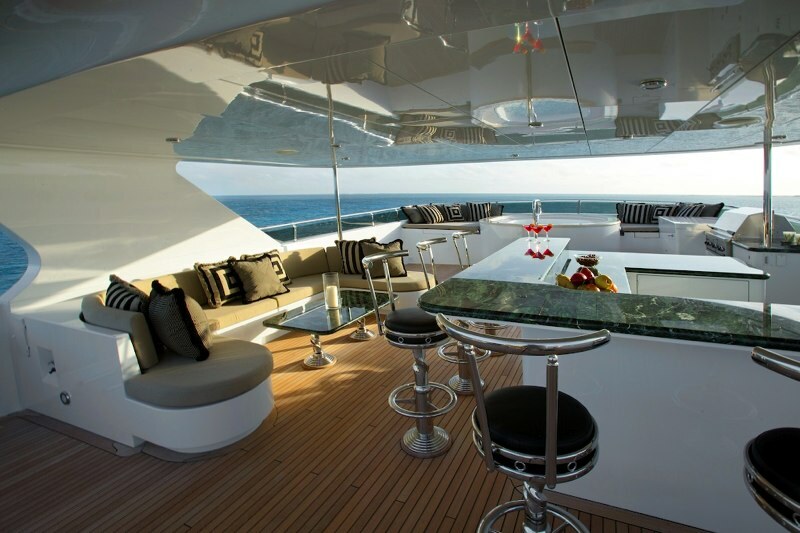 Above the main deck is the comfortable sky lounge which features 2 back to back L shaped settees, the ideal place to read a book or simply sit back while the world floats by you outside the large windows; the space also has a marble wet bar with stools. 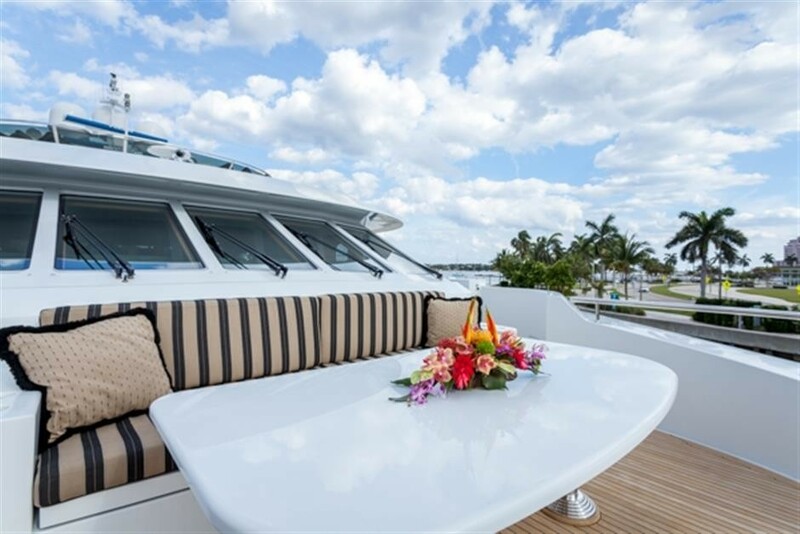 TOP FIVE presents plenty of external deck space, the main aft deck is large and shaded offering an alfresco dining/cocktail option, lounge seating and wet bar; further aft the extended swim platform is perfect for ease of enjoying the many water toys available. 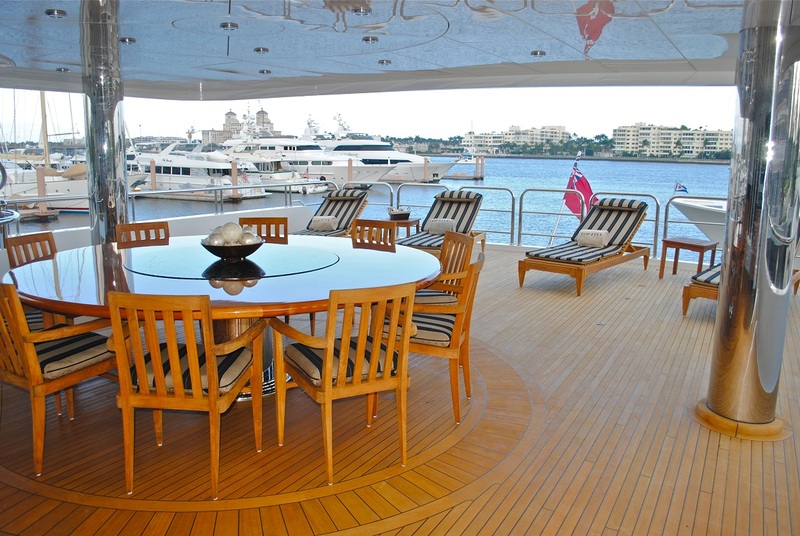 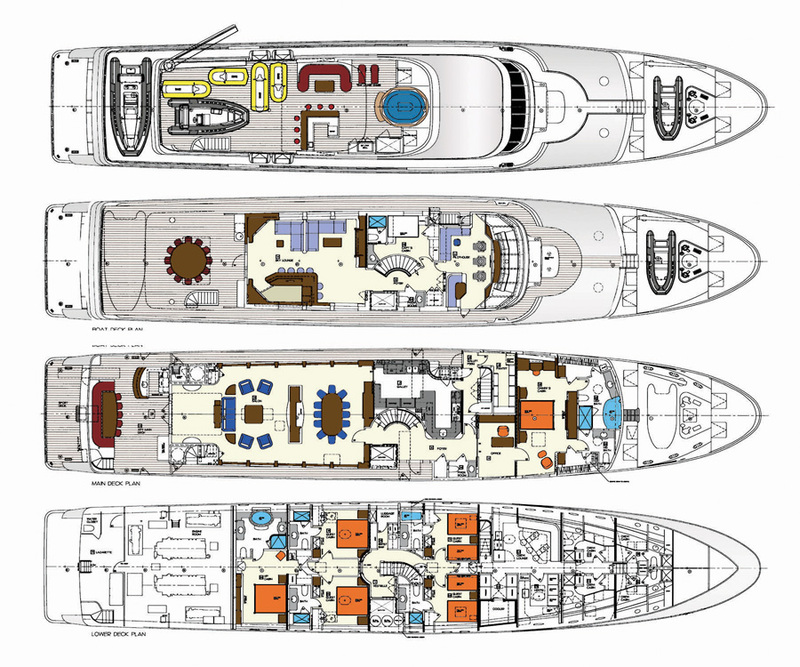 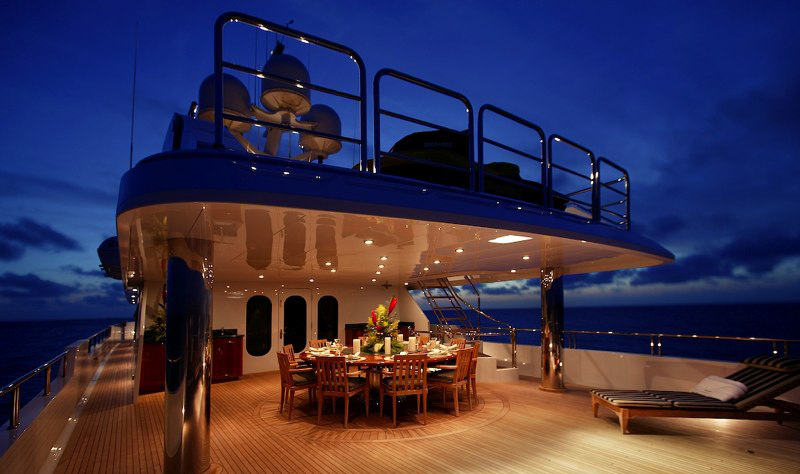 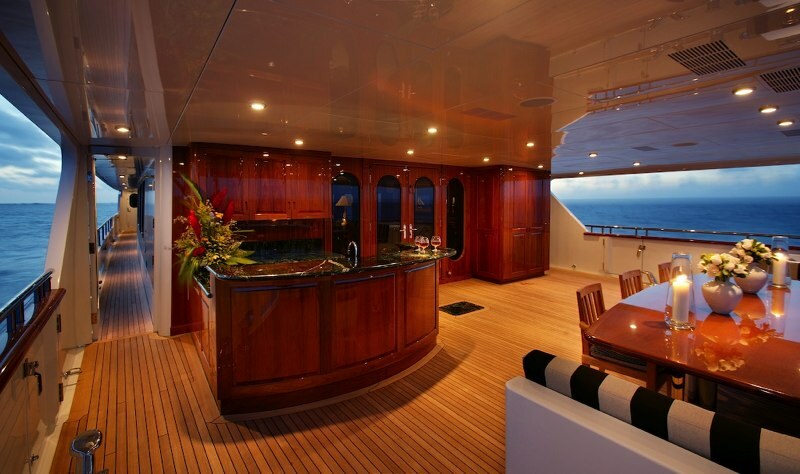 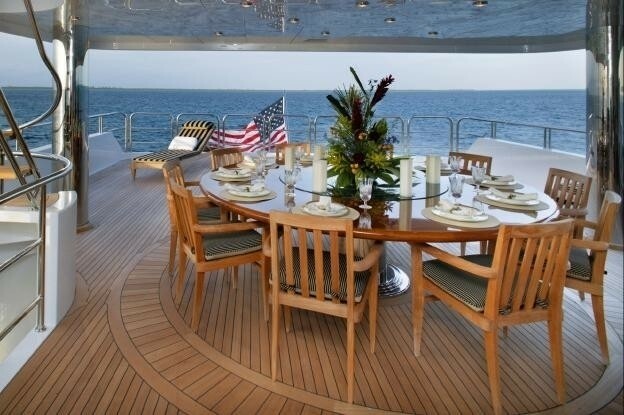 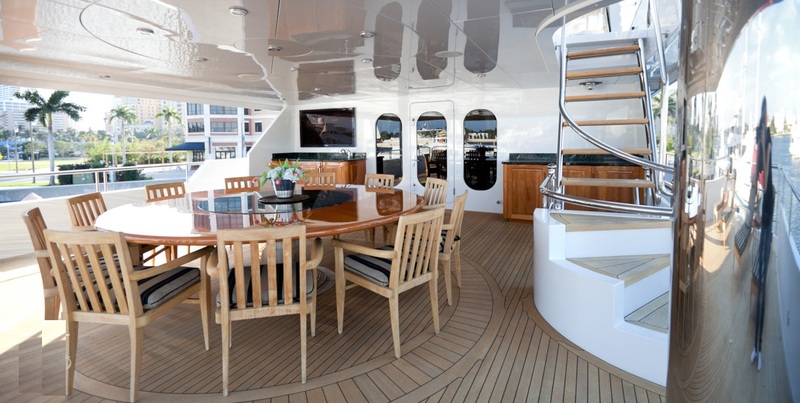 Atop the main deck and adjacent to the sky lounge the aft deck features an alfresco dining option for 12 at a beautiful round table with a ‘lazy Susan’; 4 chaise lounges for catching a tan, the deck then wraps around the sky lounge giving access to the foredeck. 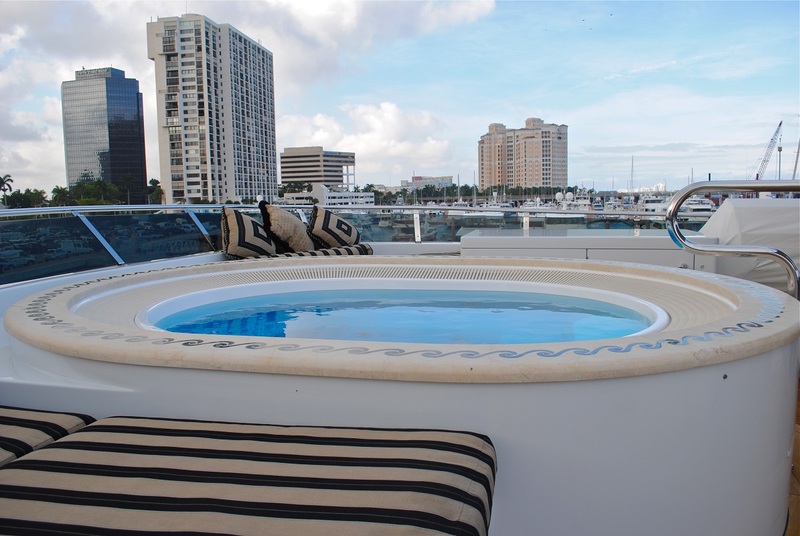 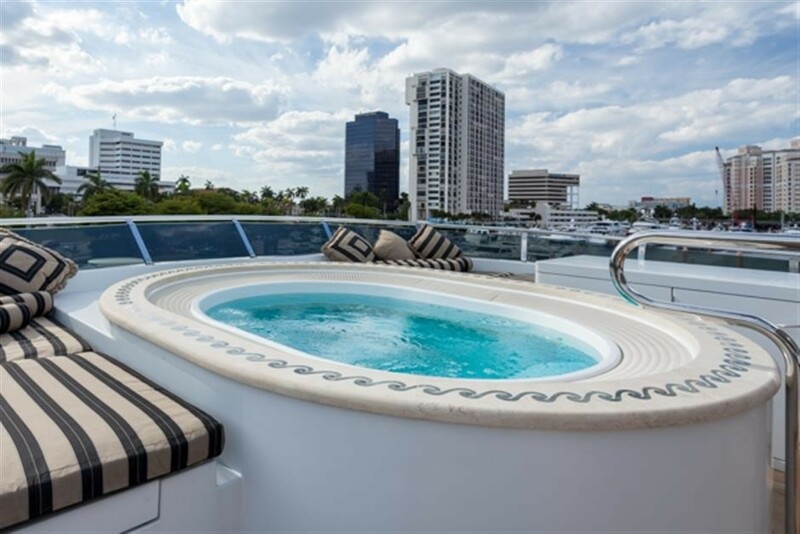 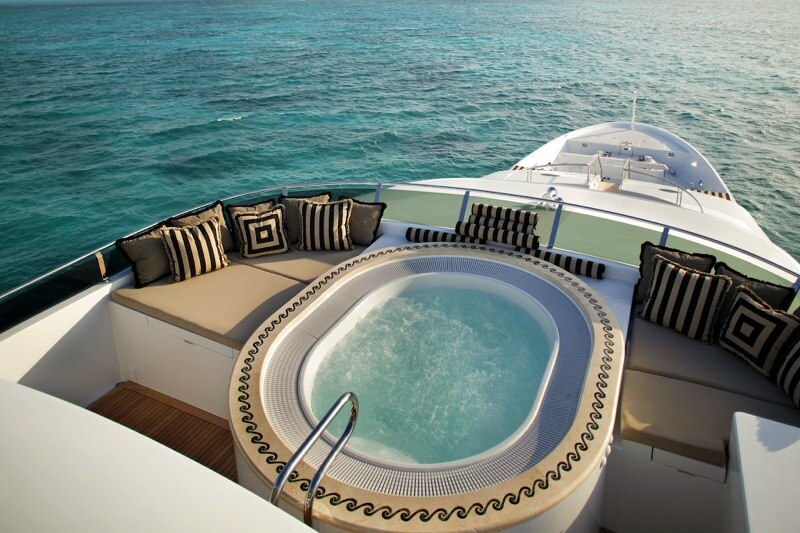 A further sun deck is above the sky lounge and boasts ample seating, a wet bar with stools, a Spa Pool tub and sunpads. 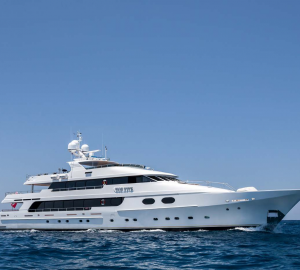 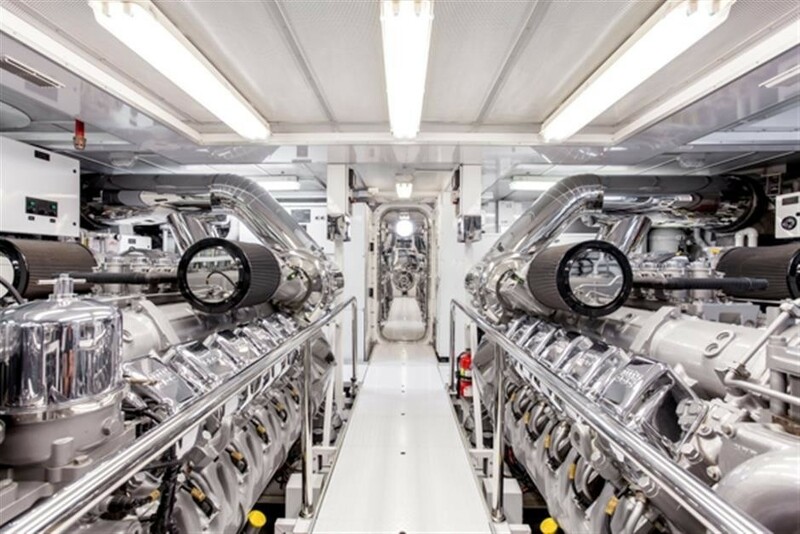 TOP FIVE has a beam of 8.97 meters (29.4ft) and a draft of 2.44 meters (8ft); she cruises at speeds of up to 12 knots with maximum speeds of 16 knots. 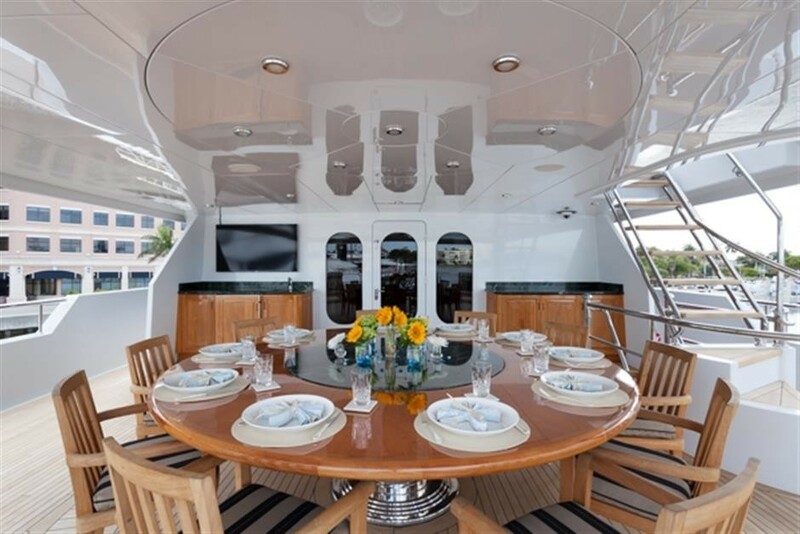 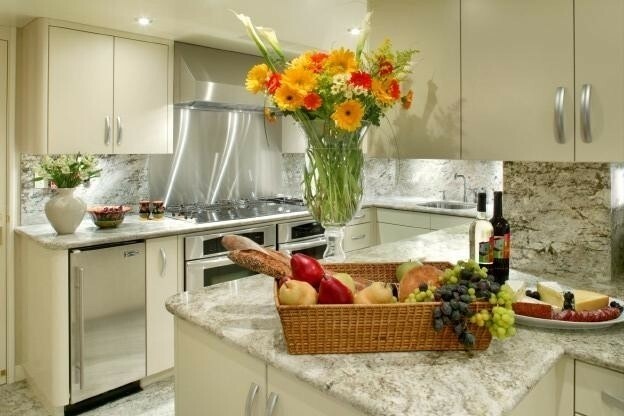 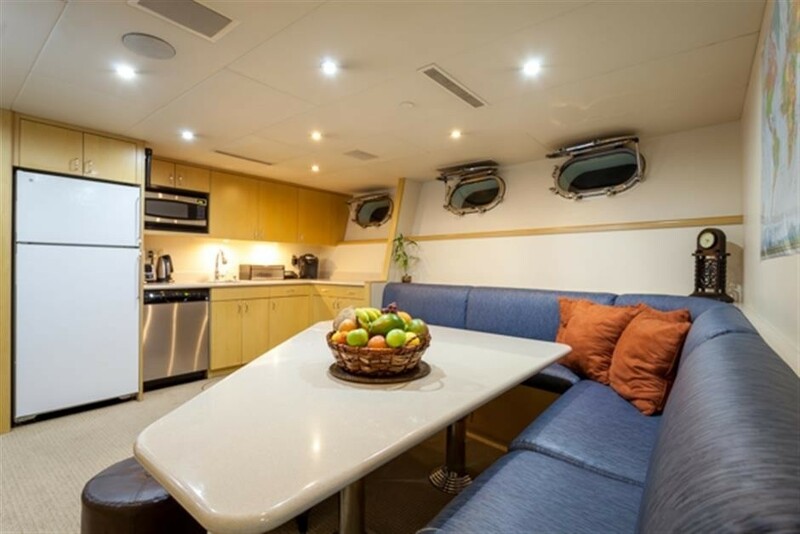 TOP FIVE can accommodate 12 guests in 6 luxurious cabins. 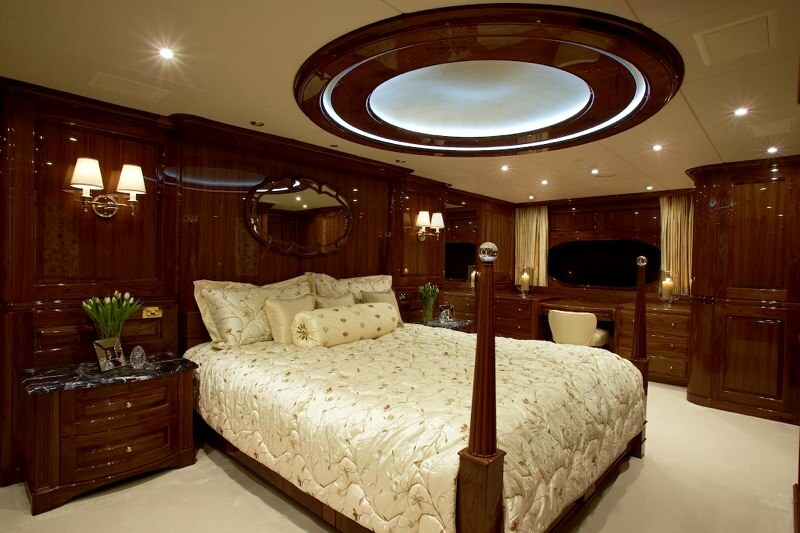 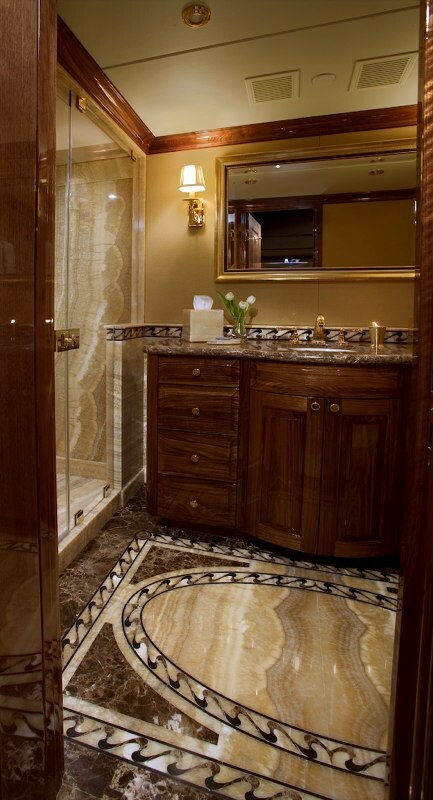 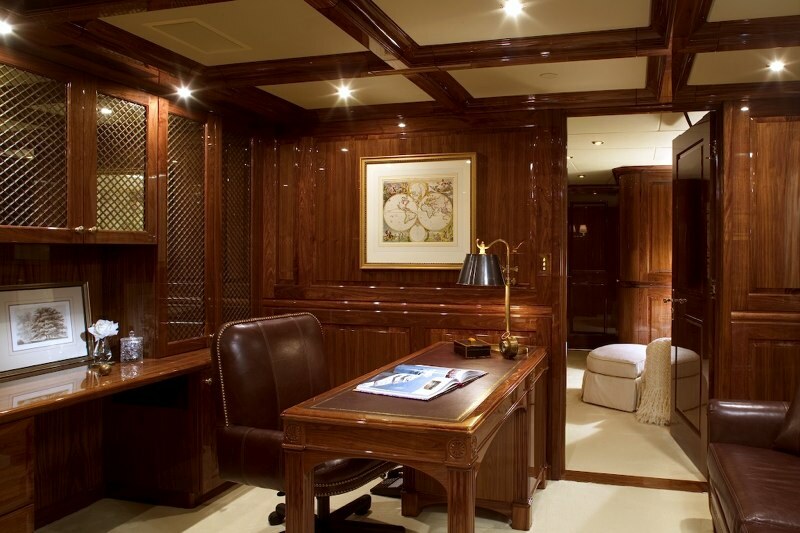 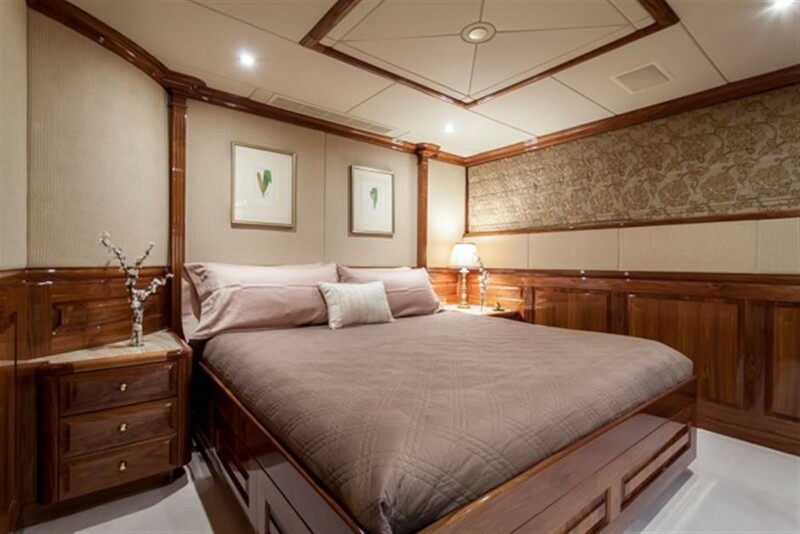 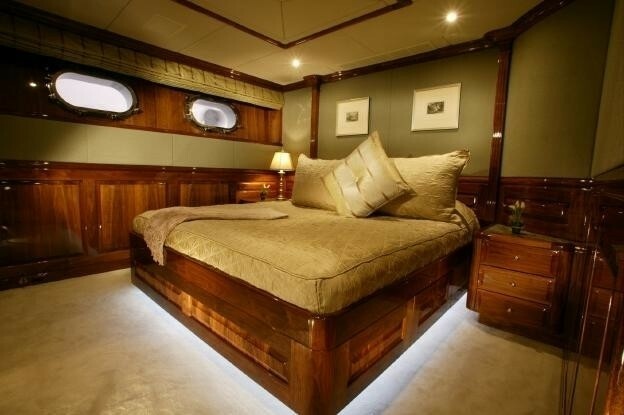 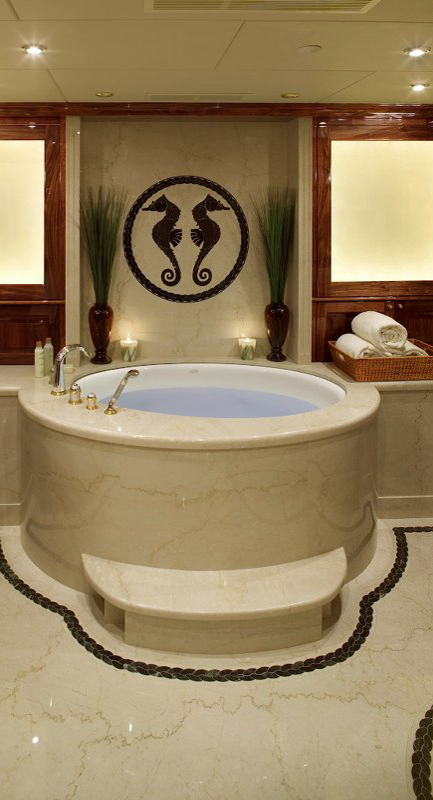 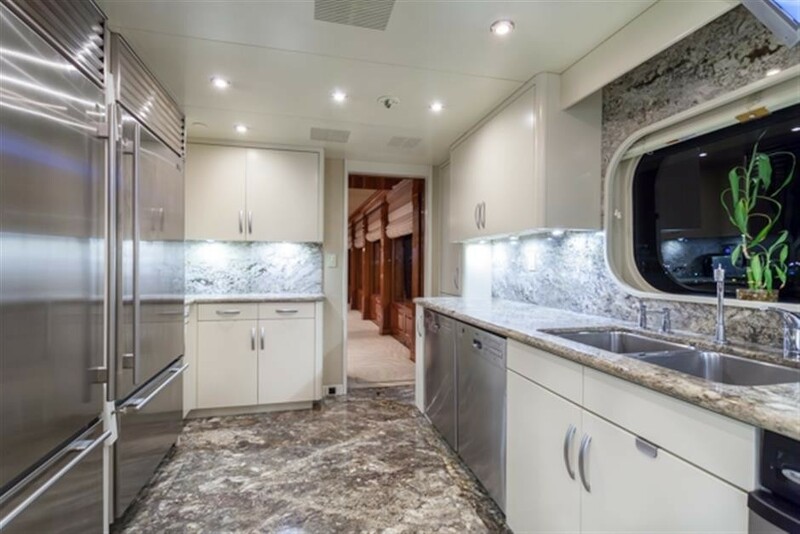 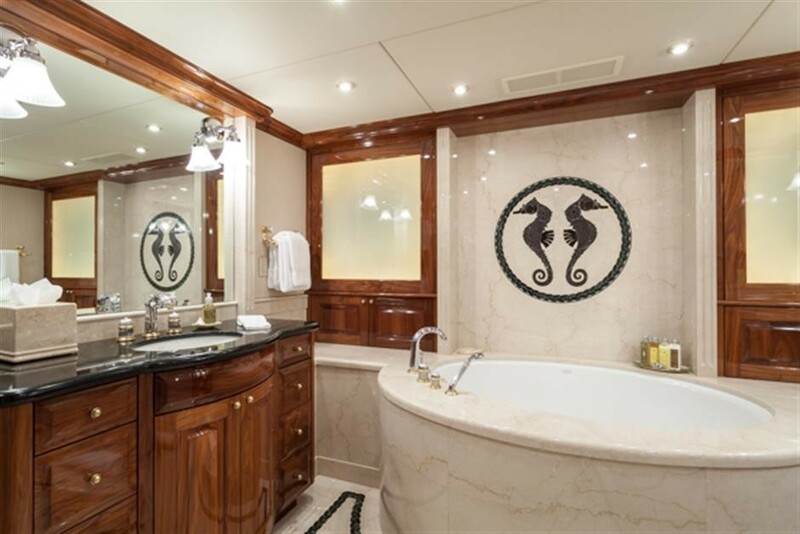 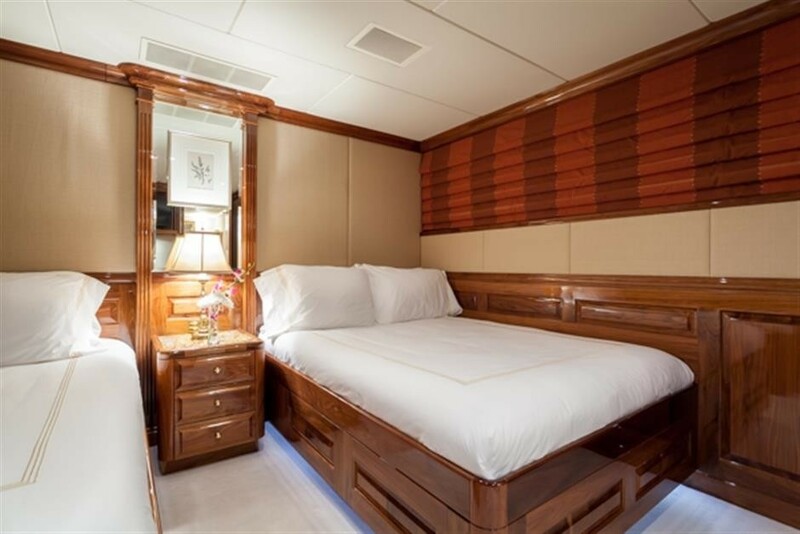 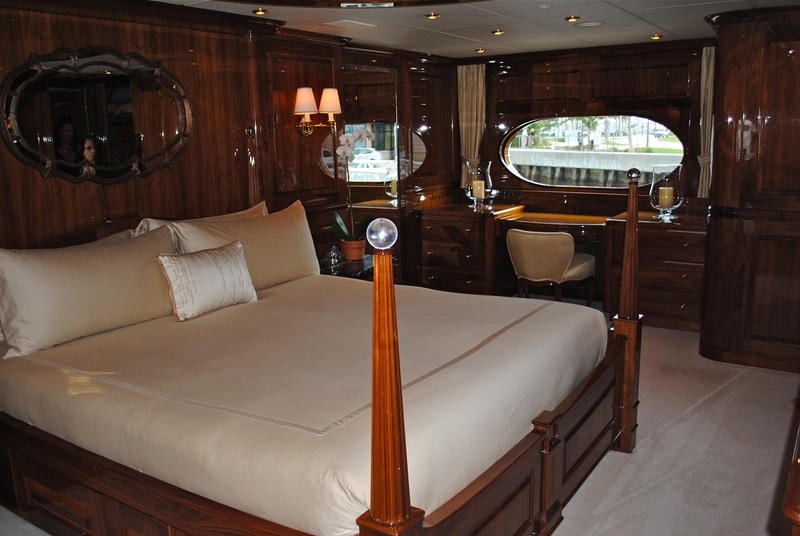 The deluxe master suite is located forward on the main deck and is full beam of the yacht with a king size bed, lounge area, vanity, walk in closet, his and her bathrooms, Spa Pool tub and private study. 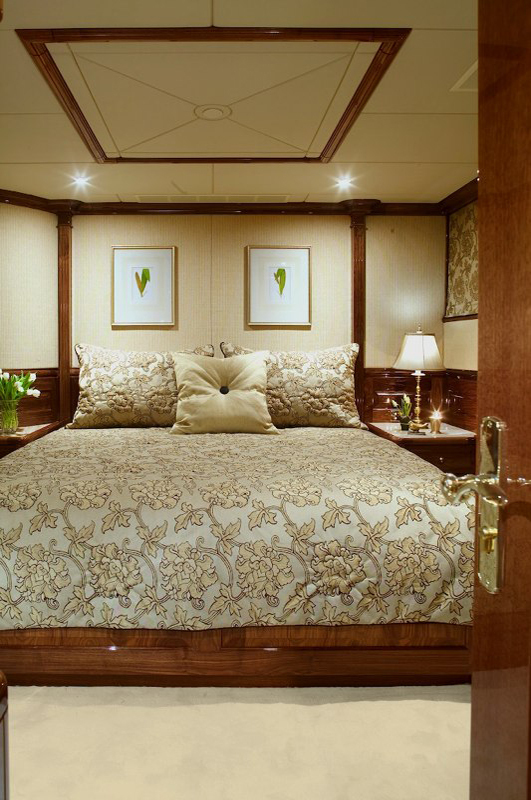 The remaining 5 spacious cabins are on the lower deck; the VIP cabin is aft and full beam featuring a king size bed, en-suite facilities and a Spa Pool tub; forward are 2 cabins with queen size beds and en-suite facilities with showers; a further 2 cabins are forward of these and offer both a double and twin berth, one with en-suite and shower the other with en-suite and bathtub. 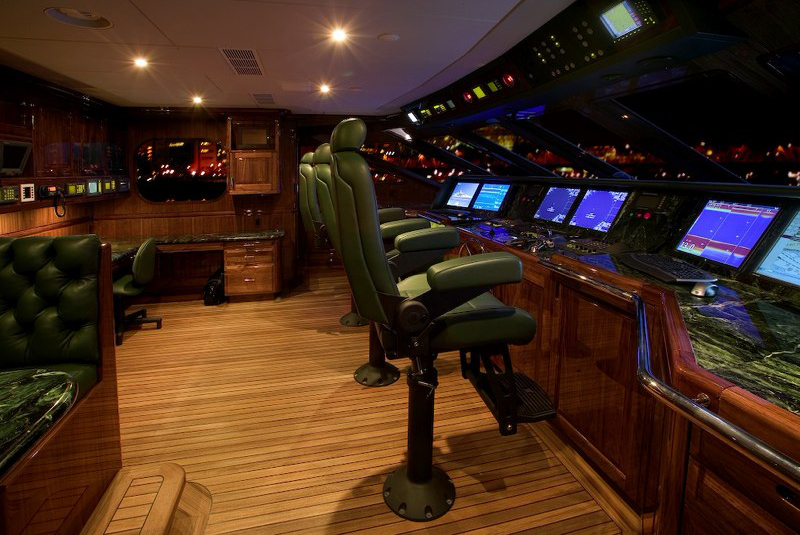 All cabins boast entertainment centers.